Instead of relying purely on willpower, create a strategy before attending holiday parties. Similar to going to the grocery store hungry, heading to a holiday party hungry presents an unnecessary willpower challenge. With an empty stomach, everything looks good. Instead, fill up beforehand on nutritious whole foods. The truly worthwhile indulgences will stand out, leading to fewer calories overall. Even better, bring a healthy dish to the event. People’s food choices are often dependent on their peers. If one person decides to bring or order a healthy dish, the whole group tends to eat more healthily. A fresh fruit salad, a tray of raw vegetables, or a plate of steamed green beans can be a colorful and welcomed addition to a table full of rich food. Tracking calories can be an excellent short-term strategy to ward off holiday weight gain. In the long term, tracking calories can sometimes backfire. Some people quit once they reach their goal, abandon their healthier regime and regain the weight they lost by tracking, while others become too rigid and perfectionistic in their food choices. However, using apps like MyFitnessPal to track calories during the holidays can be a relatively easy, fun experience that will set you up for seasonal success. To add extra positive reinforcement, the Qardio App—used with the QardioBase wireless scale and body composition analyzer—replaces smileys with numbers for weight measurement improvements. Making mindful food choices, logging food, and tracking progress with QardioBase truly pays off over the course of the year. 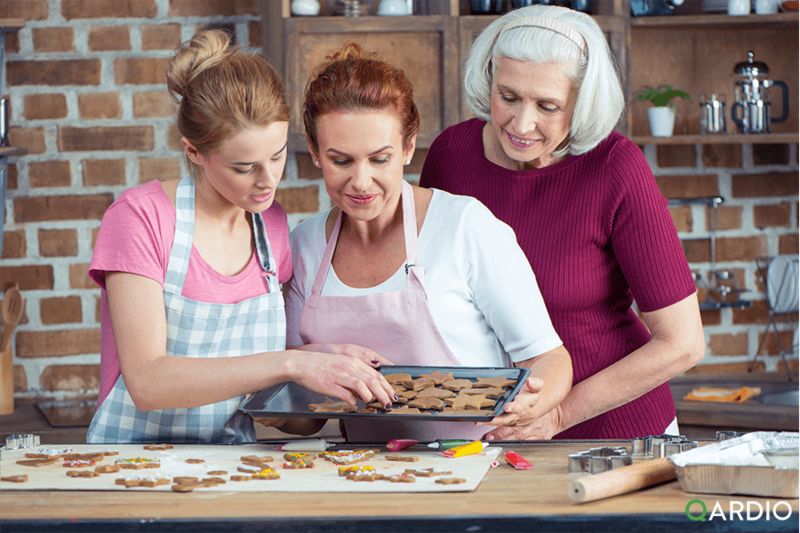 Instead of settling into a post-meal nap, go for a walk, and bring family or friends along. Group training sessions, especially outdoors training sessions, are another great option. Weight loss benefits aside, being social and exercising prevents depression during the winter months. According to polls, most Americans report exercising less during the winter months, leading to decreased mood and weight gain. More movement leads to greater mental and physical health, not to mention a stronger and leaner body. More than anything, the holidays are about spending time with friends and family. Being inactive and eating calorie-dense foods are, for some, a side effect of the season. You can be the exception by prioritizing long-term weight loss by continuing to eat well and exercise. The Qardio App and QardioBase smart scale contribute to sustainable weight loss by offering regular positive feedback. In the end, no dish at Christmas dinner will be sweeter or richer than connecting with family. But if you do overindulge, don’t beat yourself up! Simply get back to your healthy habits the next day and you will be able to avoid holiday weight gain. Keep track of your weight this festive season and get ready for the New Year with QardioBase. 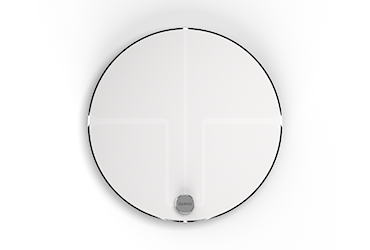 QardioBase is the smart scale and body analyzer that helps make weight management an integral part of everyday life – providing you with accurate measurements of your weight, BMI, body fat, muscle mass, water and bone composition and seamlessly syncing your data to your iOS or Android device. You can even share your data with your friends and family, providing all the support and motivation you need to lose weight and keep it off.